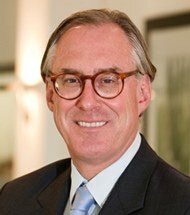 Jeff is the Founding Chairman and Adviser to the General Partner. Prior to establishing GMT, he was a Managing Director at the investment firm Veronis Suhler Stevenson, and had previously held a variety of operating positions in the publishing, broadcasting and cable TV industries. GMT and related funds have invested over USD 1 billion in Europe and North America over the last 25 years. Jeff has an MBA from the Wharton School, an MA in International Studies from the University of Pennsylvania and is a Fellow of the Lauder Institute of International Studies. He holds a BA from Hobart College. Jeff is on the Board of Trustees of the Hawn Foundation (UK), the Board of Governors of the We are Family Foundation and is a member of the Ashoka Support Network.